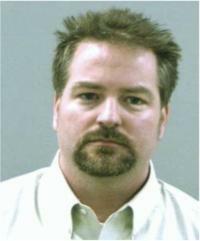 Utah: A former Farr West church youth leader was ordered to stand trial Tuesday on charges he groped and fondled four teenage girls at his home in 2007 and 2009. Cory C. Campbell, 37, faces one count of aggravated sexual abuse of a child, a first-degree felony. He also faces two second-degree felony counts of forcible sexual abuse and two counts of sexual battery, both are class A misdemeanors. Campbell waived his right to a preliminary hearing on four of the charges. But Judge Michael Lyon heard testimony concerning the aggravated sexual abuse charge, which involved a girl who was 11 or 12 when the alleged abuse occurred. At the time, the girl was a friend of Campbell's daughter.